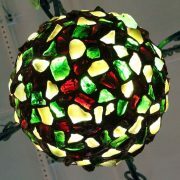 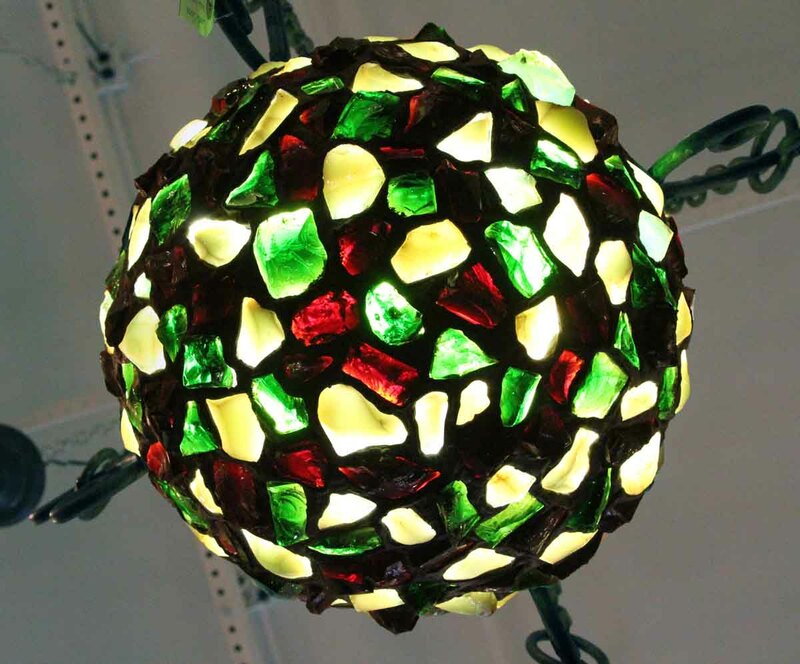 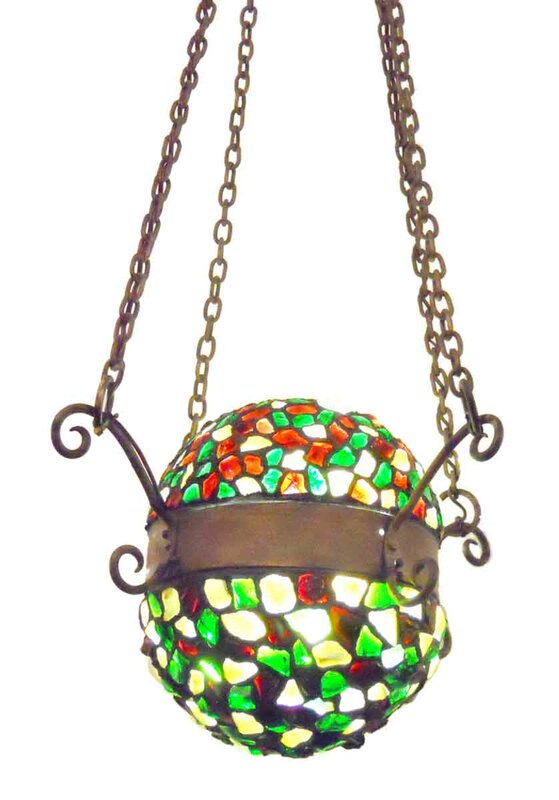 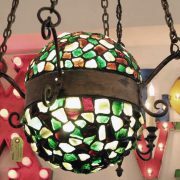 Strikingly colorful light showcasing random sized glass pieces in a vibrant mosaic pattern. 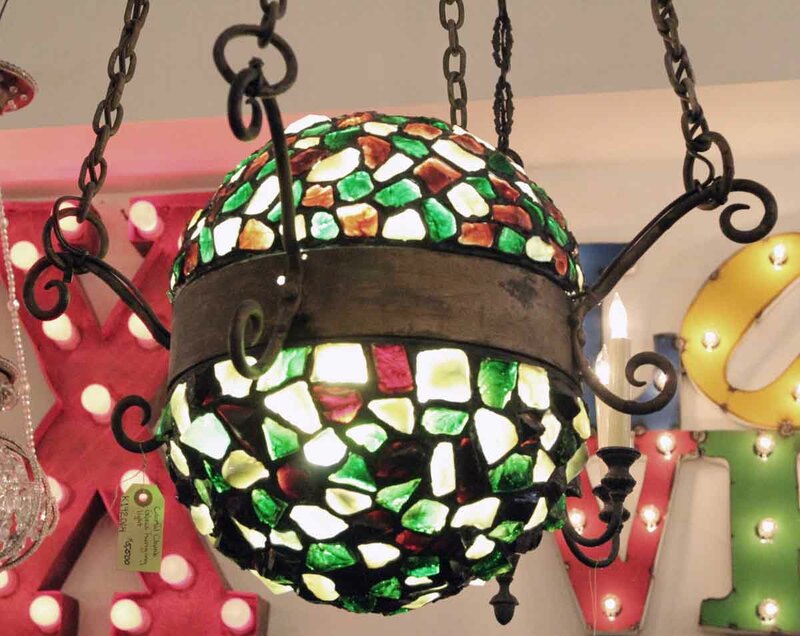 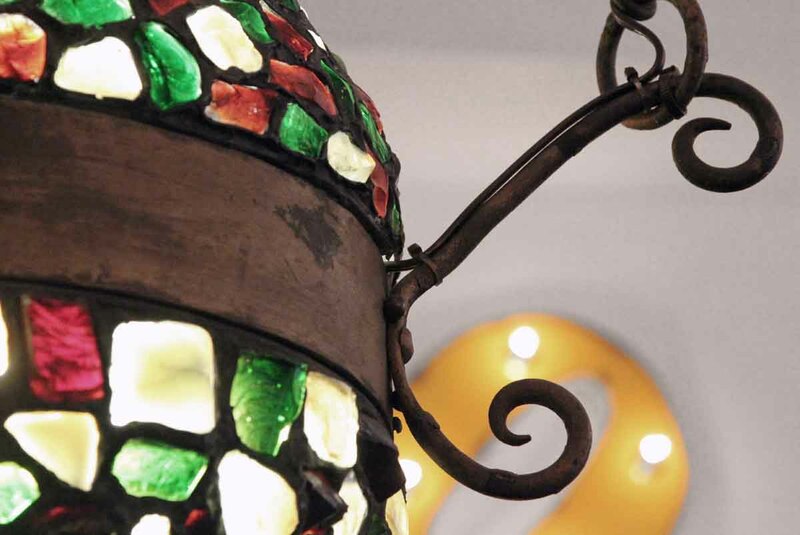 The light shines through green, orange, and yellow glass, creating a warm ambiance to any room. 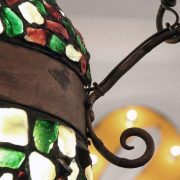 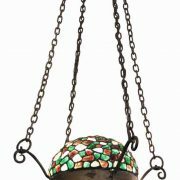 Great example of handcrafted Folk Art with hand wrought metal details. 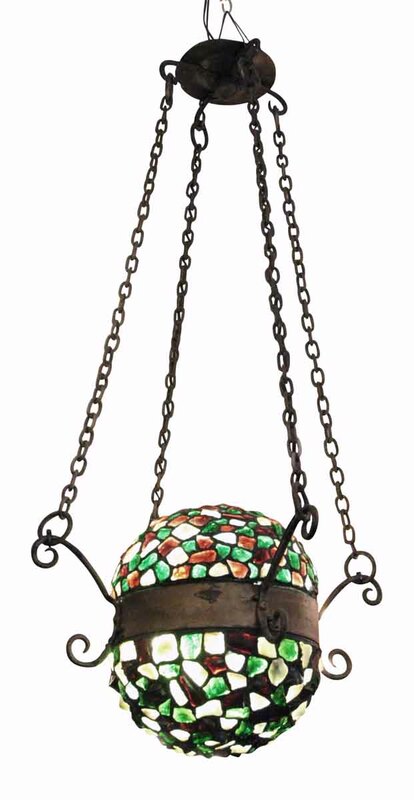 The length of the chain can easily be adjusted to a specific drop height from the ceiling.